When spring arrives, it marks the beginning of the annual season of area art shows and antiques/craft fairs. One of this area’s best art shows is scheduled for this weekend. 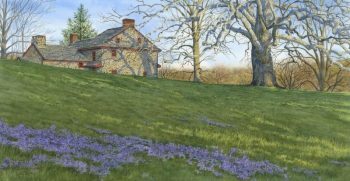 The 70th Annual Chadds Ford Art Sale & Show (http://cfes.ucfsd.org/artshow/) will be held March 22 and 23 at the Chadds Ford Elementary School. 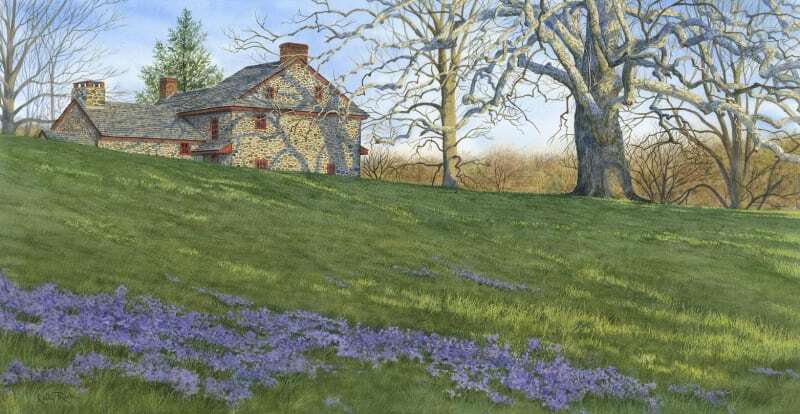 Founded in 1949 by Betsy Wyeth, the popular Chadds Ford Art Sale & Show features works by more than 65 professional artists from the Brandywine Valley and beyond. Artists showcase a variety of works to satisfy every taste and budget. The “Featured Artist” is Jaclyn Beam and the “Donating Artist” is Kathy Ruck. The “Opening Night Complimentary Reception & Sale” will be held on March 22 from 7-10 p.m. and feature live music and complimentary hors d’oeuvres from prominent local restaurants and food service businesses. Many of the participating artists will be available to sign or personalize their work. The “Art Exhibit & Sale” will run from 10 a.m.-4 p.m. on March 23. Special attractions include live music and a raffle drawing at 3 p.m. All proceeds support educational enrichment programs at Chadds Ford Elementary School. 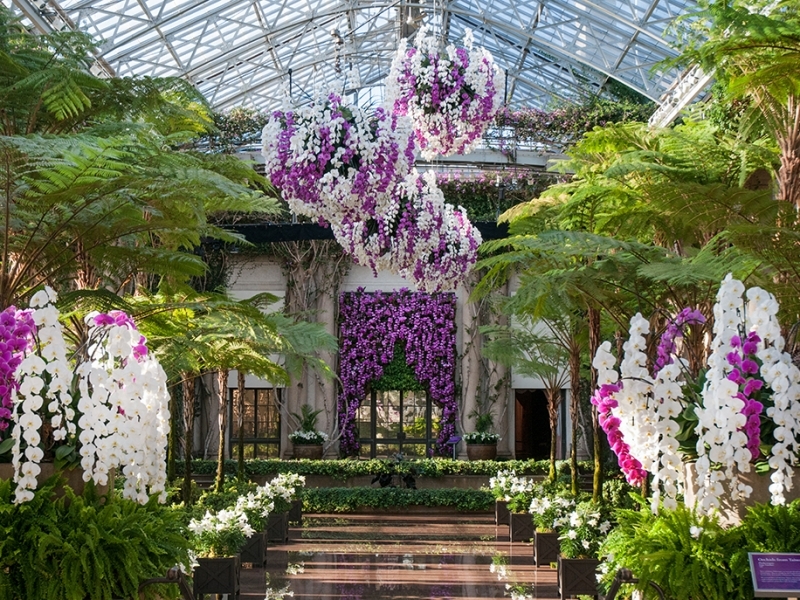 This weekend is your final opportunity to visit Longwood Gardens (Route 1, Kennett Square, 610-388-1000, www.longwoodgardens.org) and enjoy the splendor of its popular “Orchid Extravaganza” — an annual event that is running through March 24. A $20 pass gets visitors access to four flavorful pairings – two donut & wine and two pizza & wine — featuring the winery’s local partners Duck Donuts and Pizzeria Pronto. The event will run from 11 a.m.-5 p.m. each day. The “Pairing Menu” features: Kennett Square Mushroom Pizza with Kennett mushrooms, spinach and cream sauce paired with 2016 Traminette and Chaddsford White; Barbecue Chicken Pizza with grilled chicken, BBQ sauce, gouda and red onion paired with 2016 Harbinger and Sangri-la Sangria; Chocolate Bacon Donut with chocolate icing and chopped bacon paired with 2016 The Red Standard and Chaddsford Red; and Lemon Meringue Donut with lemon icing, graham cracker crumbs and marshmallow drizzle paired with 2017 Presage and Sunset Blush. This is a “rain or shine” event. In the annual series, the Grist Mill staff explores different aspects of Newlin Grist Mill’s unique historical and environmental resources. Visitors get an in-depth look at the site with special lectures from both Newlin staff and outside presenters. To coordinate with the new exhibit “The Mills of Delaware County,” the focus for the 2019 series will be on mills and their impact on the community. Guests can join English historian Marc Meltonville as he explores the ways in which a mill shaped the development of a village in Bucks County, England over the course of nearly 1,000 years. This talk will be held at the Mill’s Rachel Kohl Community Library. Invisible magnetic fields can be used in so many ways. Participants will be able to build a magnet toy and tinker with the force. Families can work together to solve science mysteries and engineering challenges. For this Saturday’s activity, visitors will be able to learn how chemistry is used in our everyday lives and marvel in its magic. Visitors of all ages are invited to discover solutions to science and engineering challenges. Science Saturdays are drop-in activities, so visitors are free to stop by at any time during the event hours. Activities are included in regular admission. The rates for admission are: Adults: $15; Seniors (age 62 and up): $11; Students $11; Children (ages 6-14): $6; Children (5 and under): free. Families are invited to visit The Nature Place for a fun night of guided experiments with the center’s staff. There will even be some experiments that kids of all ages will be able to recreate at home later. The event will get underway at 6 p.m. Admission is $20 per family. On March 23, the Lancaster Science Factory (454 New Holland Avenue, Lancaster, 717-509-6363, http://www.lancastersciencefactory.org) is presenting a “Maker Space Workshop. The event, which will start at 11 a.m., is geared for youngsters – especially those with inquisitive minds. The Youth Maker Space at the Lancaster Science Factory holds special hands-on, facilitated workshops during select days. Kids can come in and make their own Scribblebot, engineer a creation from cardboard, program robots, make their very own LED light accessories, and many, many more fun and educational projects. 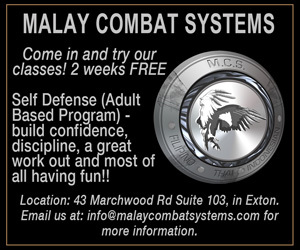 Workshop pricing varies based on project, but range between $5-10 per participant. On March 23 at 10 a.m., there will be an event called “Meet Max the Deer” at Upper Schuylkill Valley Park (1600 Blackrock Road, Royersford, 610-948-5170, https://www.montcopa.org/875/Upper-Schuylkill-Valley-Park). Visitors are invited to come and meet the park’s resident whitetail deer, Max. Visitors will learn about this popular Pennsylvania mammal including how they change throughout the year. This program will include a craft to make and take home. Weather permitting, all activities will be outdoors. There is a suggested donation of $4 per child. On March 23, “Trout Fishing in the Farm Park” will be held at Norristown Farm Park (West Germantown Pike and Barley Sheaf Drive, 2500 Upper Farm Road, Norristown, 610-270-0215, http://www.montcopa.org/874/Norristown-Farm-Park). Part of the excitement of spring is the opening of trout season. Participants will join Park Ranger Jake for a primer on trout fishing. Topics covered will include cold water fish habitat, the life cycle of trout, different trout species, and popular angling equipment and techniques. Guests will also be able to learn about the park’s trout nursery. The event, which will start at 2 p.m., is free and open to all. Also on March 23, Green Lane Park (2144 Snyder Rd, Green Lane, 215-234-4528, https://www.montcopa.org/871/Green-Lane-Park) will host a free event called “Timber-doodle” starting at 7 p.m. Visitors can come out to the park just before dark to witness the amazing courtship flight of the American Woodcock in a new program venue. With such fanciful names as “Labrador Twister” and “Bogsucker,” this bird has fascinated people for many generations. Participants are instructed to bring a flashlight and meet at Red Trail parking lot on Knight Road – and to wear appropriate footwear, as ground may be muddy. The 43rd Annual Gap Fire Company Mud Sale & Auction will be held on March 22 and 23 at the Gap Fire Company (802 Pequea Avenue, Gap, 610-593-2480,http://www.gapfire.org). The Gap Fire Company’s annual spring “Mud Sale” auction will be held on the fire company grounds on March 22 — starting at 4:30 p.m. followed by crafts at 5 p.m. and shrubbery and flowers at 6:30 p.m. The Saturday auctions will start at 8 a.m. 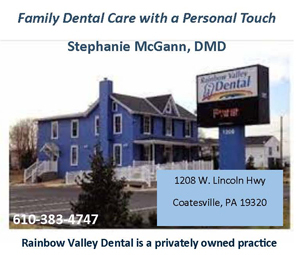 There will also be a “Fourth Friday” celebration on March 22 in Mount Joy. For Mount Joy, this is always a happening evening in the downtown area. Each “Fourth Friday” is different from the last, but always tons of fun. Fourth Friday events run from 5-8 p.m. in Downtown Mount Joy. Visitors are invited to dine out, stroll from place to place, browse shops, and have a stress-free evening of fun. Have you ever been to a birthday party for a hippopotamus? You will be able to answer yes to the question if you visit the Adventure Aquarium (1 Riverside Drive, Camden, New Jersey, 856-365-3300,www.adventureaquarium.com) this weekend. From March 22-24, the Aquarium is offering an invitation to “Button’s 22nd Birthday Weekend.” Hippo Haven will turn into hippo party central with decorations and fanfare, and revelers joining in the fun surrounding the birthday girl’s big day. Button, born at Parque Zoological de Leon in Mexico on March 22, 1997, is the smaller of the aquarium’s two hippos weighing in at just over 3,000 pounds. Her gal pal, 17-year-old Genny, weighing in at over 4,000 pounds, will join in the festivities and celebrate her exhibit mate’s special day right along with her. Button and Genny will enjoy special, fruit and veggie hippo-friendly birthday cakes each morning to kick off party time. All weekend, visitors will have the opportunity to watch a variety of enrichment activities, hippo talks, hippo treats, and special hippo birthday wishes. As the party comes to a close each day, guests can wish happy birthday to Button and a good night to both the girls during Hippo Bedtime. Admission to the Adventure Aquarium is $29.99 for adults and $21.99 for children (ages 2-12). Children under two are admitted free with a paying adult.